The guest commentary below was written by Mike O'Rourke of JonesTrading. Hearing Fed Chair Jay Powell speak those words Tuesday should have made the investment community cringe. Investing is not for today’s environment, but instead investing is based upon what you expect the future to bring. Thus, hearing that the current environment is “extraordinary” or “too good to be true” implies that the continuation of such an atypical environment, which is unlikely. 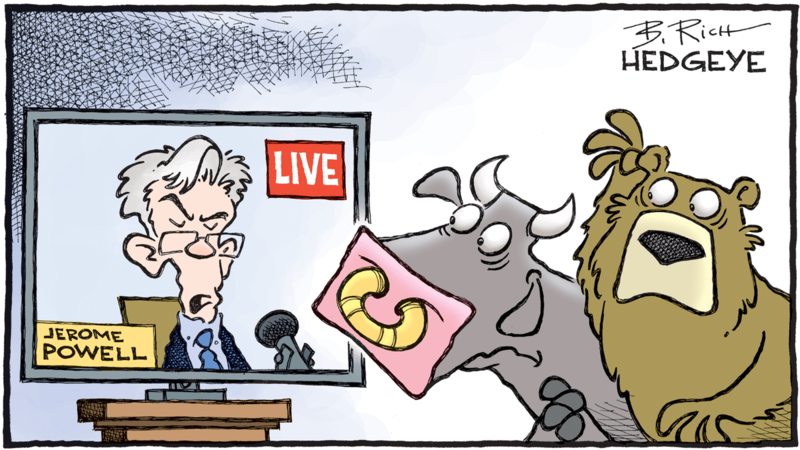 The other alarming comment was that although the Fed Chair noted the historically high asset prices, he does not see financial stability risks to the economy. As much as we respect Chair Powell, that is every Central Banker’s fatal flaw. They never see the risk that knocks the economy off course. Once such a risk is exposed, it is too late to contain the damage. Chair Powell did note at Jackson Hole that the last two recessions emanated from financial stability risks. He is well aware of the risks that asset price dislocations can cause. In short, a great economy with high asset prices would imply there is not sufficient upside in a perfect environment from which a great deal can go wrong. The “extraordinary times” environment carried though to today’s economic data. The September ADP Payrolls report handily exceeded expectations. The real star was the ISM Services report, which posted its second highest reading in its history, and its highest reading in 30 years. The Employment component posted its highest reading ever. The strong economic data combined with a very slight constructive pivot by Italy’s coalition government on its budget debate sparked a bond market sell off. The combination of the haven bid dissipating and economic data accelerating prompted the 30Yr Treasury yield to break out to new 4 year highs (chart below). The 30Yr Treasury’s 3.34% yield is the highest reading of the Post QE era. Shortly, after the 30Yr breakout, the 10Yr Treasury yield broke out as well (chart below). 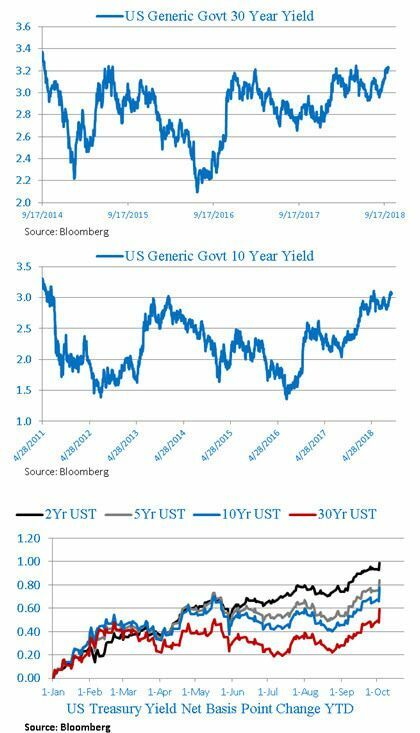 The shorter dated Treasuries have been hitting new decade highs in yields throughout the year, as rates have risen (chart below).